Figure 17.14 • Mechanism of hydrolysis of ACh by AChE. A. ACh-AChE reversible complex. B. Acetylation of esteratic site. C. General base-catalyzed hydrolysis of acetylated enzyme. D. Free enzyme. considered irreversible. These organophosphorous compounds are used in the treatment of glaucoma, as agricultural insecticides, and, at times, as nerve gases in warfare and bioterrorism. Finally, some have either been or are currently being evaluated for use against Alzheimer disease. Table 17.6 shows the relative potencies of several AChE inhibitors. Physostigmine, USP. Physostigmine is an alkaloid obtained from the dried ripe seed of Physostigma veneno-sum. It occurs as a white, odorless, microcrystalline powder that is slightly soluble in water and freely soluble in alcohol, chloroform, and the fixed oils. The alkaloid, as the free base, is quite sensitive to heat, light, moisture, and bases, undergoing rapid decomposition. In solution, it is hydrolyzed to methyl carbamic acid and eseroline, neither of which inhibits AChE. Eseroline is oxidized to a red compound, rubreserine,54 and then further decomposed to eserine blue and eserine brown. 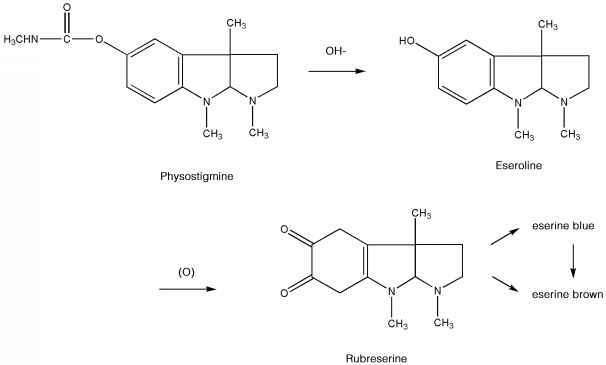 Addition of sulfite or ascorbic acid prevents oxidation of the phenol, es-eroline, to rubreserine. Hydrolysis does take place, however, and the physostigmine is inactivated. 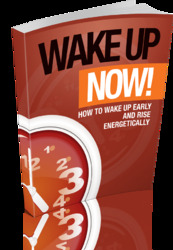 Solutions are most stable at pH 6 and should never be sterilized by heat. Physostigmine is a relatively poor carbamylating agent of AChE and is often considered a reversible inhibitor of the enzyme. Its cholinesterase-inhibiting properties vary with the pH of the medium (Fig. 17.15). The conjugate acid of physostigmine has a pKa of about 8, and as the pH of the solution is lowered, more is present in the proto-nated form. Inhibition of cholinesterase is greater in acid media, suggesting that the protonated form makes a contribution to the inhibitory activity well as its carbamylation of the enzyme. Physostigmine was used first as a topical application in the treatment of glaucoma. Its lipid solubility properties permit adequate absorption from ointment bases. It is used sys-temically as an antidote for atropine poisoning and other anticholinergic drugs by increasing the duration of action of ACh at cholinergic sites through inhibition of AChE. 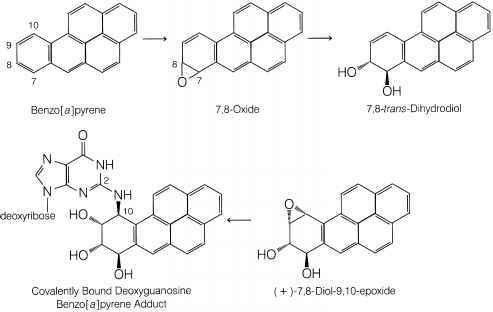 Physostigmine, along with other cholinomimetic drugs acting in the CNS, has been studied for use in the treatment of Alzheimer disease.55 Cholinomimetics that are currently used or which have been recently evaluated in the treatment of Alzheimer disease include donepezil, galantamine, metri-fonate, rivastigmine, and tacrine.48 It is anticipated that this list will continue to grow as the etiology of this disease becomes better understood. Physostigmine Salicylate, USP. The salicylate of physostigmine (eserine salicylate) may be prepared by neutralizing an ethereal solution of the alkaloid with an ethereal solution of salicylic acid. Excess salicylic acid is removed from the precipitated product by washing it with ether. The salicylate is less deliquescent than the sulfate. 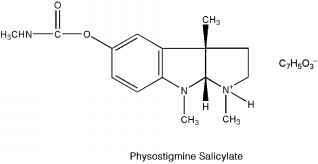 Physostigmine salicylate occurs as a white, shining, odorless crystal or white powder that is soluble in water (1:75), alcohol (1:16), or chloroform (1:6) but much less soluble in ether (1:250). On prolonged exposure to air and light, the crystals turn red. The red may be removed by washing the crystals with alcohol, although this causes loss of the compound as well. Aqueous solutions are neutral or slightly acidic and take on a red coloration after a period. The coloration may be taken as an index of the loss of activity of physostigmine solutions.